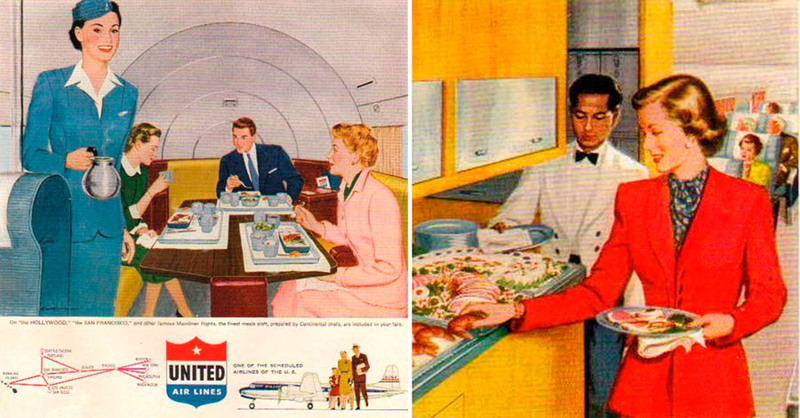 Some will say that we live in the Golden Age of Air Travel today. There are certainly plenty of conveniences and almost limitless choices when it comes to planning your trip on any number of premium airlines. 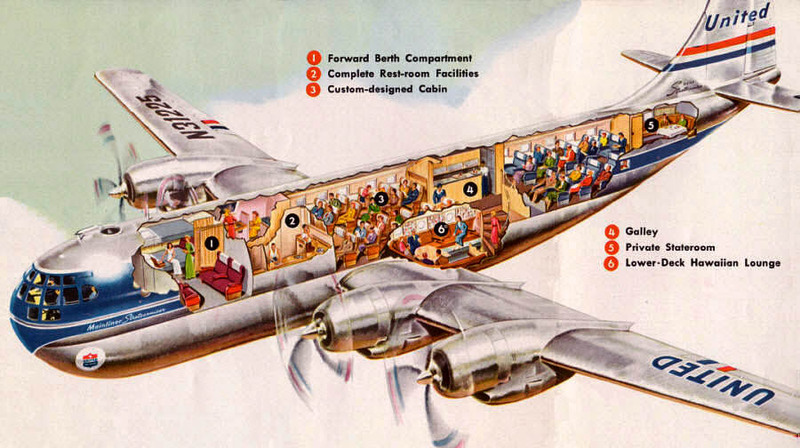 However all this easy availability of air travel comes at a price. 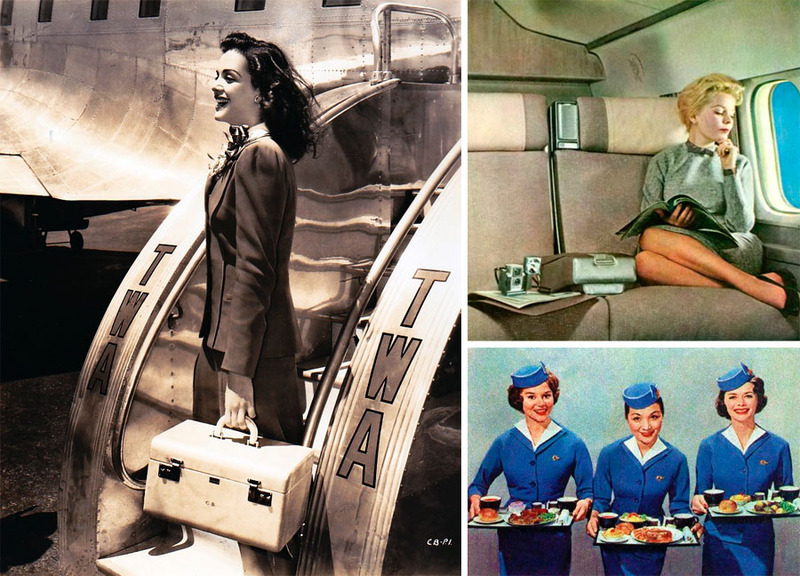 A certain measure of glamour and romance associated with air travel has been irrevocably lost, and languishes now in the mists of time... glowing from the pages of vintage magazines or gracing old travel posters. 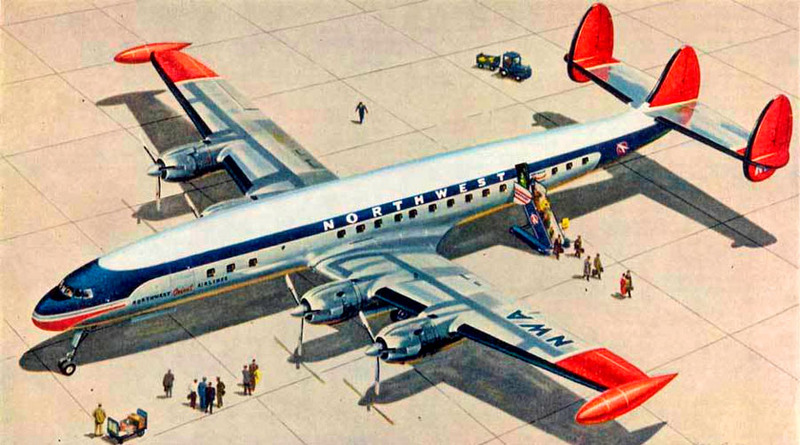 So let us cast a glance back at the day when flying was an event, and airlines treated it accordingly, infusing boundless style and luxury into their "Stratocruisers" and "Super Constellations". 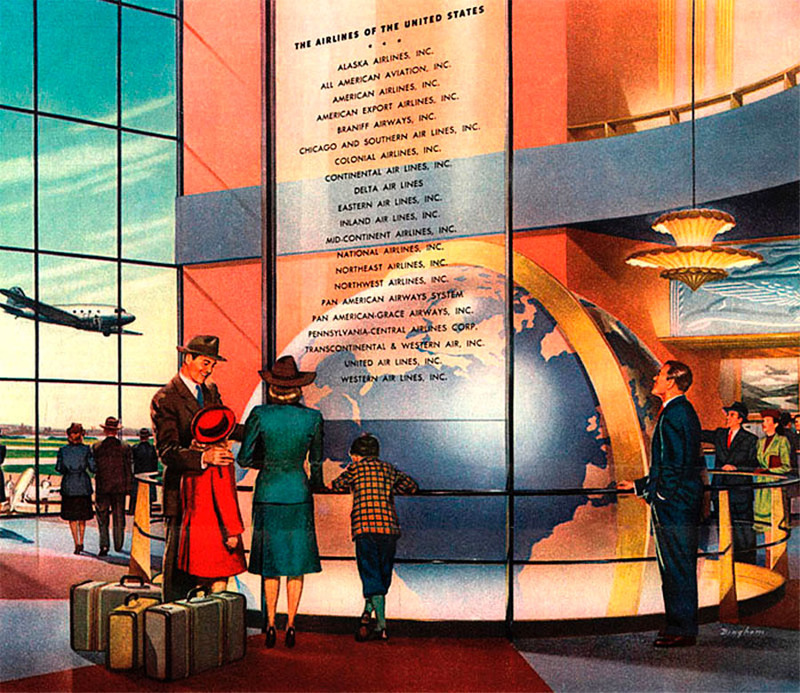 The Golden Age of Air Travel, thus defined, will fall between the 1930s and early 1960s - we will never tire of revisiting these glowing times. 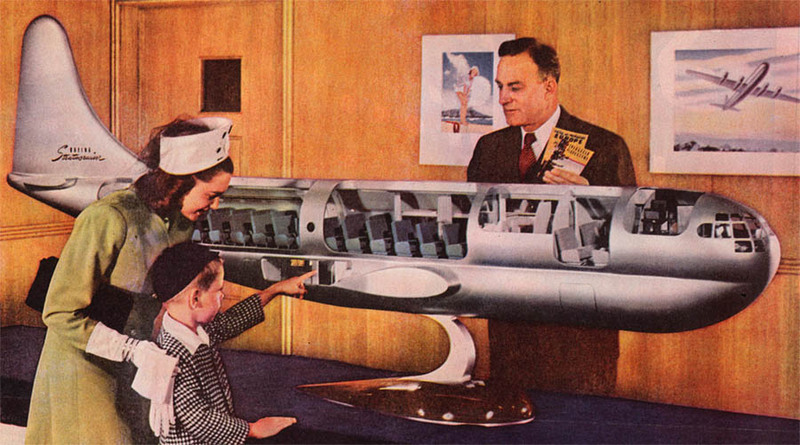 We wrote about slightly mad concepts of early aviation in our article "Those Magnificent Men and Their Flying Machines". 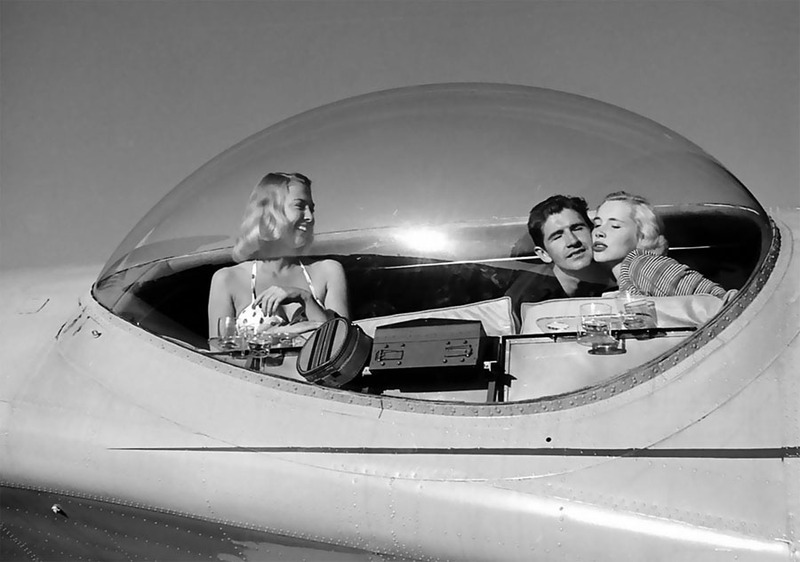 Today we revisit these glory days and admire their wild ideas, bizarre designs and sheer pluck to reach for the sky in what - quite frankly - could only be described as flimsy, unreliable constructs. 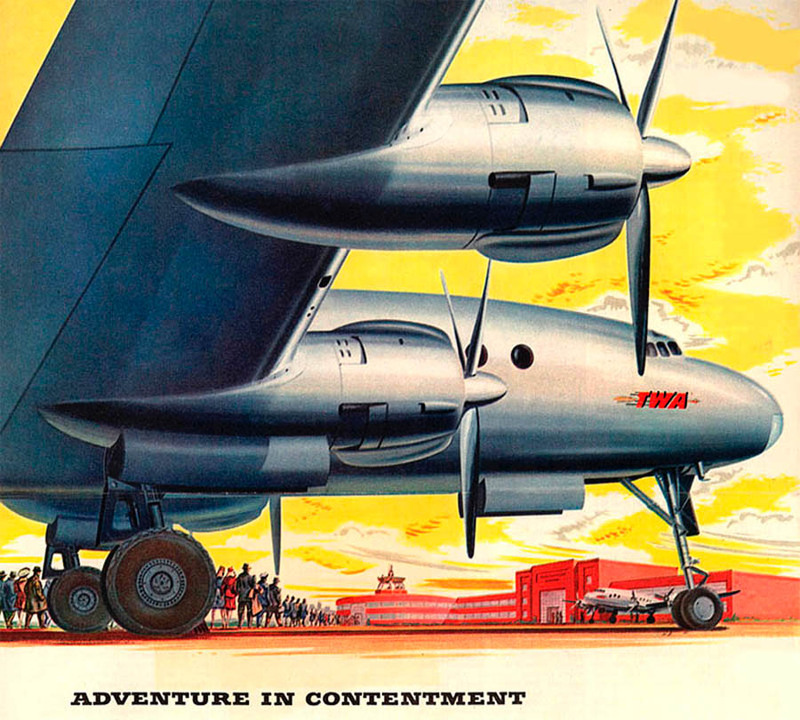 A couple of decades later, and we find that aviation has become a glamour affair, capturing the imagination of millions and the hard-earned cash of those lucky few who were able to afford such luxurious travel. 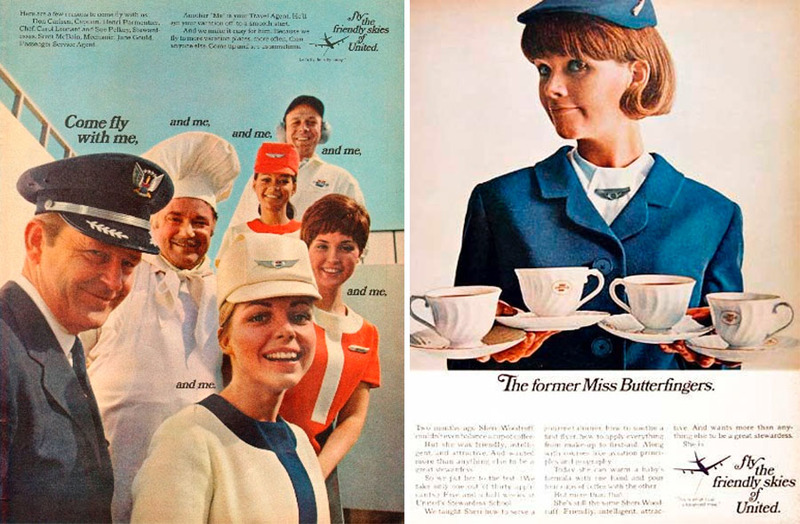 Chairs must've been nailed to the floor in case of turbulence, and cups and saucers were probably secured to the table, as well. Still, incredible presentation. And check out this glorious mid-afternoon buffet on the right! 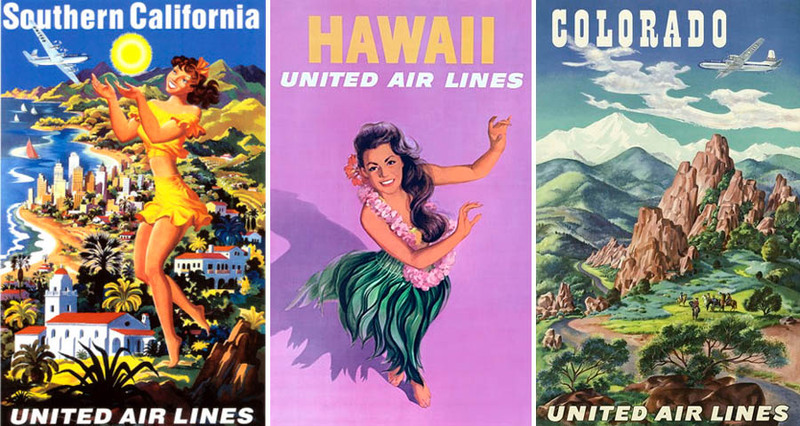 This was a normal feature on United Airlines flights to Hawaii in the early 1950s. 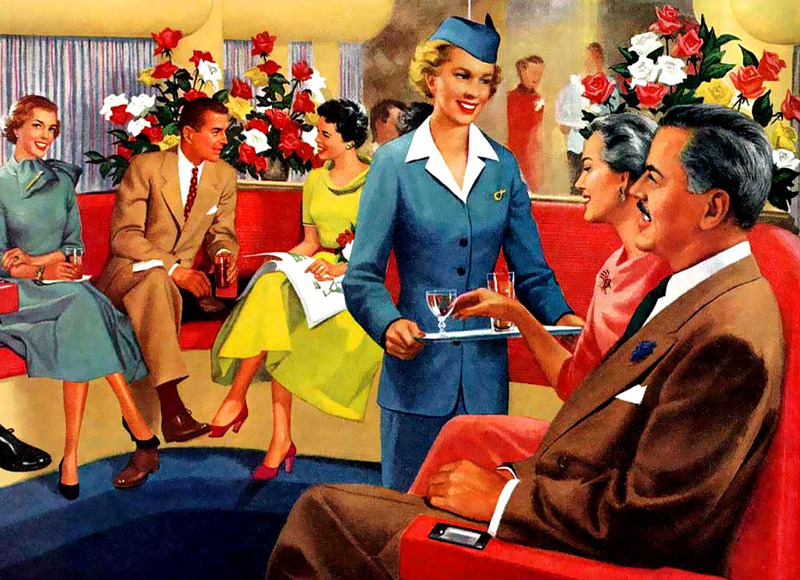 As you can see, there was choice - and lots of choice - when it came to luxury long-distance air travel, with multiple airlines competing for passengers and depicting their travel experience in the most glorious light possible. 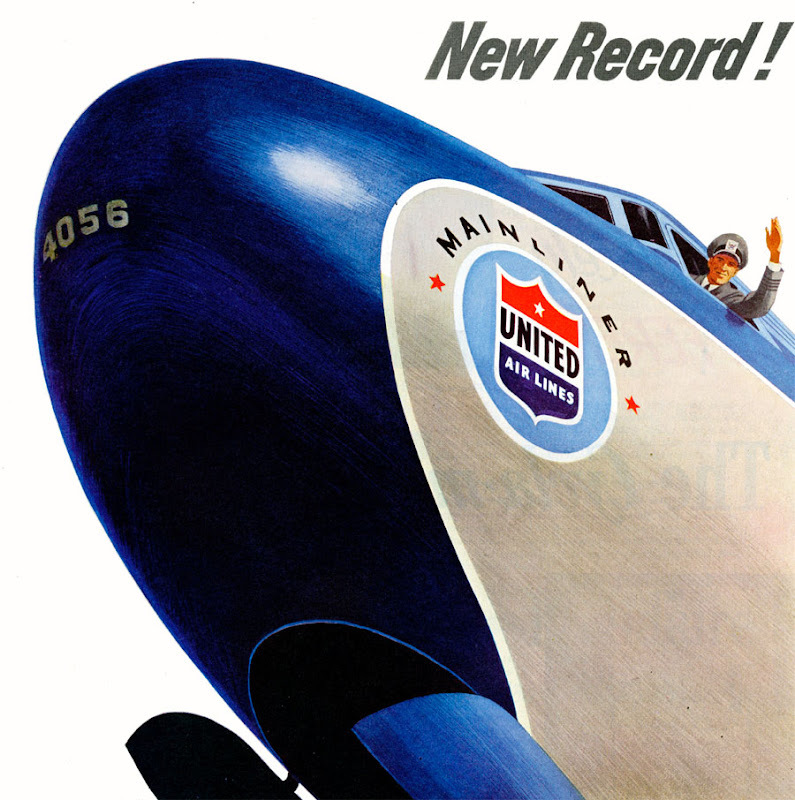 Soon, many smaller airlines disappeared, swallowed by bigger and (perhaps less romantically-inclined) corporations. 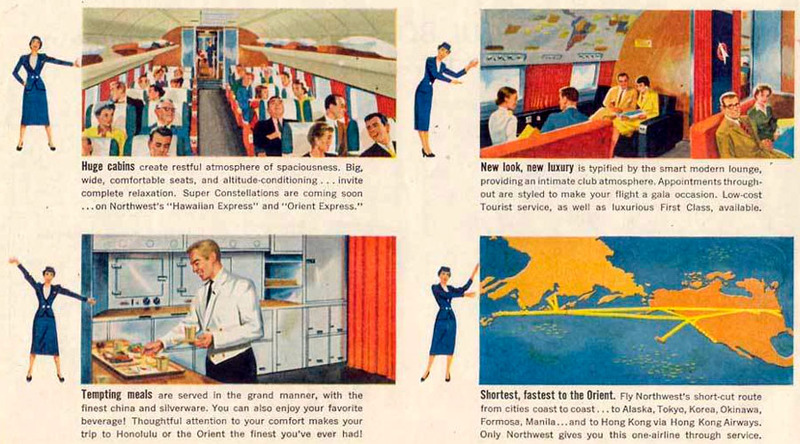 Yet, the Golden Age of Air Travel endured till the end of the 1960s, leaving us with plenty of printed ephemera and (alas, slowly fading) memories. This practice of course is continuing today, as airlines struggle to maintain efficiency and relevancy in our tough economic climate. For those who admire exotic airplane wrecks, this page has a photo-set of a wrecked Catalina seaboat, left to rust on a beach off the Strait of Tiran in Saudi Arabia for more than 50 years. 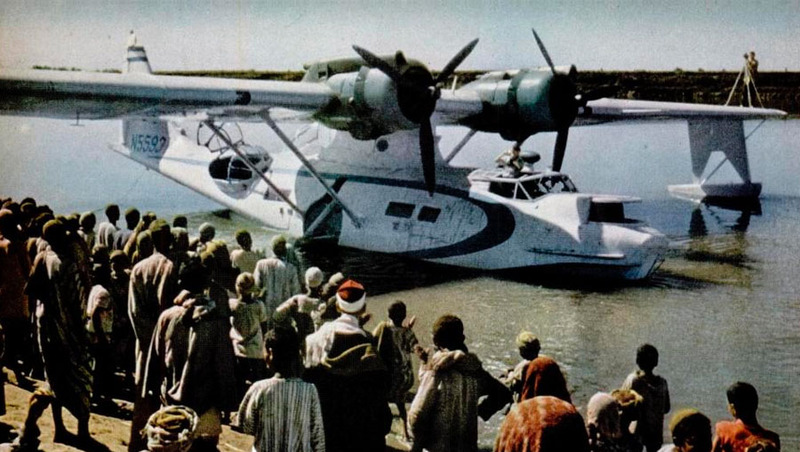 "The aircraft is a PBY-5A model and was bought from the US Navy by Thomas W Kendall, a retired businessman who converted it to a luxury flying yacht. In the spring of 1960 Mr Kendall took a pleasure trip around the world with his wife and children together with his secretary and her son. A photographer joined the group to cover part of the trip for Life magazine. On the 22nd March 1960 they landed at the Strait of Tirana and anchored the aircraft a short distance from the shore to spend the night there. They heard someone shouting but did not pay any attention. In the afternoon of the following day they were attacked with machine guns and automatic firearms from a headland nearby. The children were able to swim back to the aircraft. Mr Kendal and his secretary were wounded while trying to start the Catalina but moved it about 800 metres, unfortunately it ran aground on a coral reef. The firing lasted 30 to 40 minutes and no fewer than 300 shots hit the aircraft. The fuel tanks were perforated and 4000 litres of fuel poured from the holes but miraculously the aircraft did not catch fire. 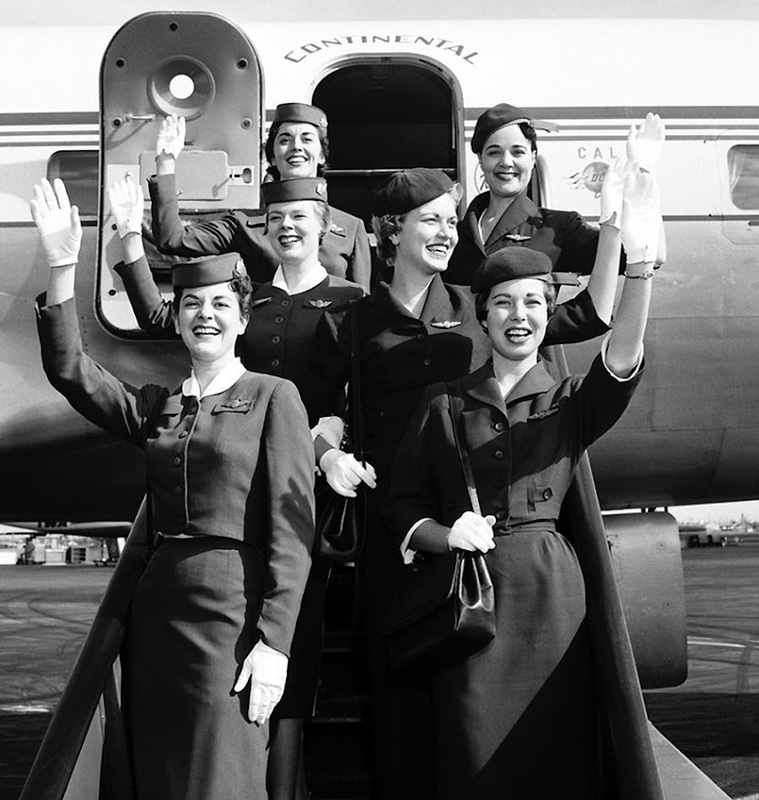 The sea was only about 1.5 metres deep and all aboard managed to leave the aircraft and reach the shore. 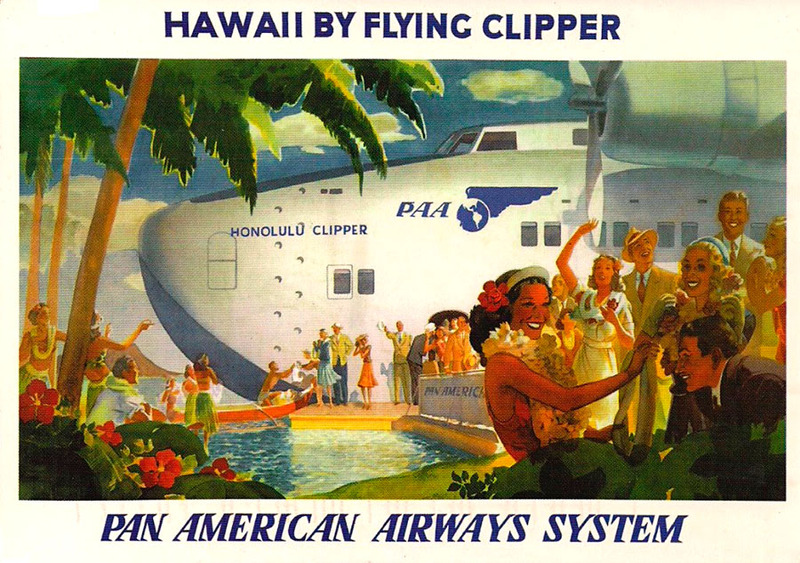 Hawaiian postcard from United Airlines in 1940 (including wonderfully cheerful hula dancer poster). "Guests to the Hawaiian Islands were greeted by the Hula, an expressive sort of Polynesian dance." 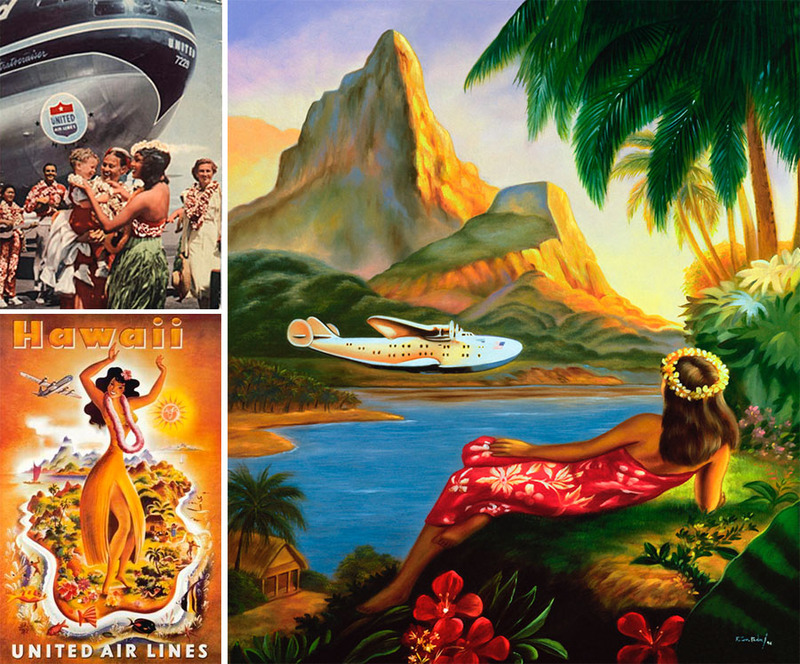 On the right is a beautiful painting, a part of advertisement for Pan-American flights to Hawaii - "Fly to South Sea Isles Via PanAmerican"! (buy this poster here). 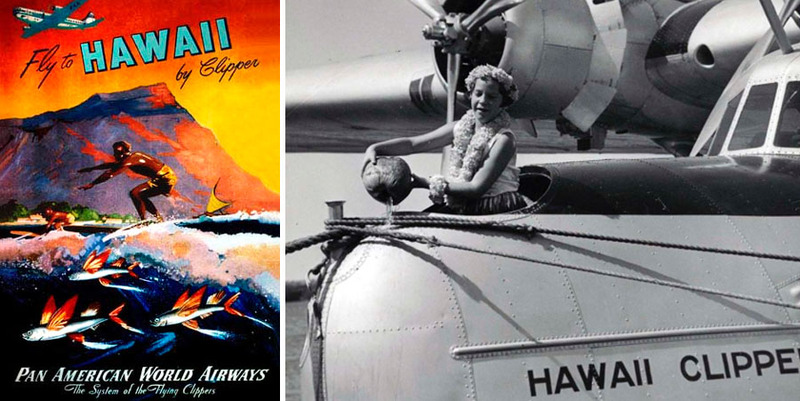 Right image above: the story of Hawaiian Clipper is full of mystery - read the story of its strange disappearance here. 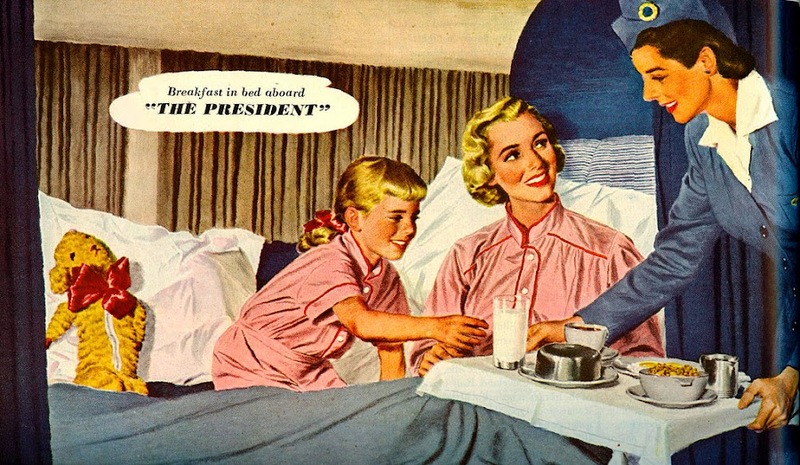 I wish that things were still like this, or even remotely like the pictures. 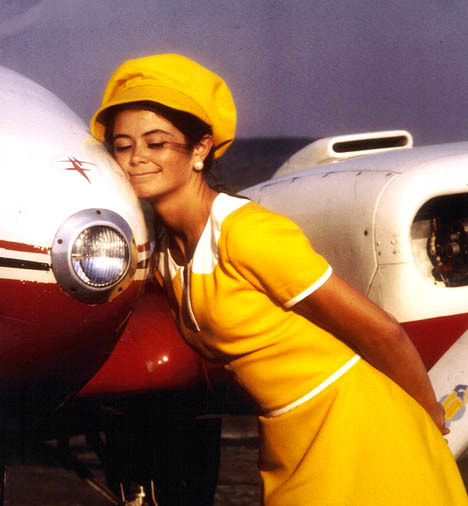 That yellow uniform is actually really cute! Thanks for the post.